Water is a basic and vital need of a life, nobody can deny this fact and every person needs a water to keep him/her healthy. Millions of people around the world don’t have access to pure water, even basic ground hard water. Especially, people living in the remote regions are forced to fetch water from wells or ground taps to satisfy their daily needs. The water is highly contaminated and toxic with excessive amounts of harmful fluoride. Serving since 1984, the United States based LifeSource Water Systems along with its nonprofit partner, RainforestFlow.org are doing the fantastic job of providing clean and great tasting water to the people. LifeSource Water Systems makes an environment-friendly water filtration and conditioning systems for residential, commercial, and industrial applications. Rainforest Flow has a mission to empower underprivileged people by promoting health, education and community organisation so they can flourish within their traditional homelands. For a social cause, they are currently building a water treatment system along with a 20,000-liter reservoir in the remote village of Huacaria situated in the Peruvian rainforest. This new system will provide clean water directly to 22 family homes and a small school. 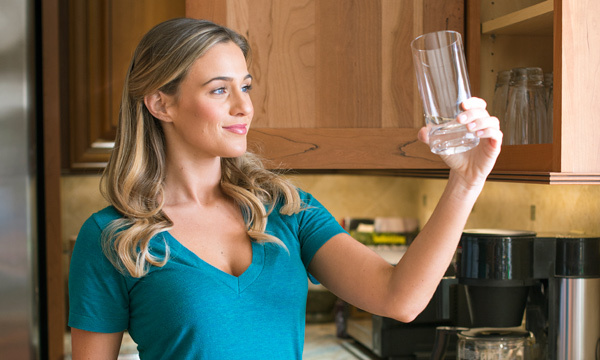 LifeSource water technology improves the people’s health as it converts the tap water into clean, refreshing and tasting water for every need of household. It saves money and eliminates the waste of bottled water. It replaces many gadgets, like water softeners, bottled water, RO units, and pitcher-refrigerator-sink-shower filters. The water treatment has many applications and features – useful for homeowners with hard water, managers managing large commercial properties, people living in rural areas, non-slippery water, maintenance free, whole house systems, and many. It retains natural minerals in the water and requires no filters, salts, potassium or additives and without scale buildup. It would be an alternative to salt based water. LifeSource Water Systems helped Rainforest Flow by providing financial and technological resources, to support other villages.